The Northern Illinois men’s tennis team traveled Wednesday to South Bend, Ind., ahead of today’s singles qualifying round in the ITA Midwest Regional tournament, hosted by Notre Dame. The tournament ends Tuesday, Oct. 26. Head coach Patrick Fisher will bring four players with him to the competition: junior Roman Turtygin, sophomores Maksym Bartiuk and Maximilian Phillips, and freshman Maksym Lagutin. Compared to a month ago at the Ball State Invitational, Fisher says his team is feeling better and looks forward to what the guys can do. The players will have the opportunity to show off those improvements as the best of the Midwest will be on display in South Bend. Lagutin began play for the Huskies in this morning’s qualifying round. Phillips and Turtygin will follow at 10:30 a.m., while Bartiuk will have the day off before his first-round match Friday. 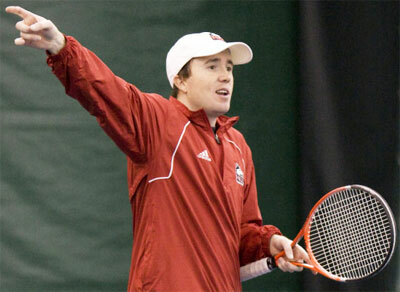 For more information on NIU men’s tennis and Huskie athletics, visit www.niuhuskies.com.